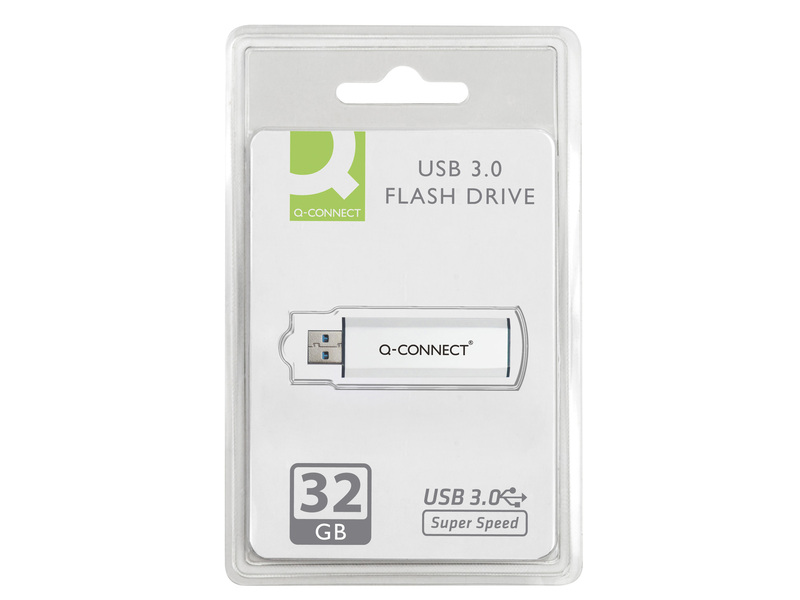 Fast USB 3.0 flash drive with 32GB capacity. Sliding body protects connector when not in use. SuperSpeed USB 3.0 connection (back compatible with USB 2.0). For Windows and Mac.